BIRMINGHAM, Ala. — Sadie, a 15-year-old Alabama teenager, was recently diagnosed with lymphoma in June 2016. This past weekend, Sodie was invited to participate as a model in a fashion show along with teens from across Birmingham as a part of ‘Rock the Runway’ at the Junior League of Birmingham’s Market Noel event at the BJCC. Little did she know, a surprise was in store. As as she took her turn down the catwalk, fashion designer and ‘Rock the Runway’ emcee Heidi Elnora announced that Sadie’s dream of traveling to Disney World was coming true, thanks to funding from the Junior League of Birmingham. Sadie thought she was just going to model in the fashion show, but was shocked and thrilled to learn the news that she was going to Disney World. The partnership between the Junior League of Birmingham and Magic Moments is not a new one. “Magic Moments was actually founded in 1984 by a $500 grant from the Junior League of Birmingham and have been partnering ever since to bring joy to children struggling with chronic life threatening illnesses such as Sadie,” said Joyce Spielberger, Executive Director of Magic Moments. Magic Moments is the only wish-granting organization dedicated exclusively to children in Alabama suffering with chronic life threatening diseases. Founded in 1984, Magic Moments has granted more than 4,500 magic moments to children in all 67 counties of Alabama. Magic Moments establishes lasting relationships with the families they serve that don’t end once the magic moment has been fulfilled. “Our partnership with Magic Moments is just another example of how the Junior League of Birmingham strives to improve the lives of women and children in Jefferson and Shelby Counties daily,” said Lauren Roberts, President of the JLB. Magic Moments goes Beyond the Moment with programs such as their annual Family Camp and regional programs for their children and families throughout the year. Magic Moments works to create a caring support network for its families by not only connecting them to the organization, but to each other. Market Noel is the Junior League of Birmingham’s largest annual fundraiser, which returned to the BJCC this year. Proceeds from the event support the league’s more than 30 community non-profits, such as Magic Moments. 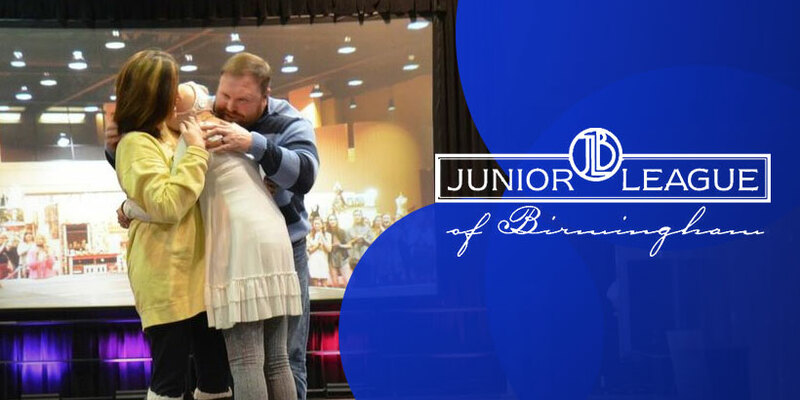 The Junior League of Birmingham is an organization of approximately 2,500 women committed to promoting voluntarism, developing the potential of women, and improving their community.